Are you still shooting photos and videos on a traditional camera? If so, it’s time to upgrade to a 360 camera. You’ve probably seen 360 videos popping up all over YouTube and Facebook. They’re getting so popular that Facebook spent millions in 2017 to develop two high-tech cameras for commercial use. 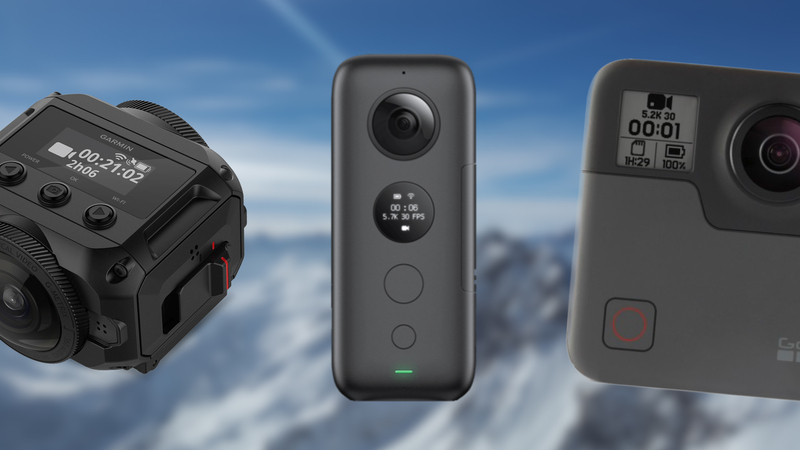 Keep reading to find out what 360 cameras can do for you and which ones are the best buys for a holiday gift this year. What is a 360 Camera? A 360 camera is exactly what it sounds like. It’s a camera that films 360 degrees around you. While a normal video camera only shoots in a small area, 360 cameras capture every angle. These cameras are so powerful that the police use them to help keep them safe. This type of camera is a great investment for families or people who love travel and adventure. With 360 technology you won’t miss a single memory. This technology is growing in popularity, but not every camera is equal. Before you buy one for yourself or a loved one this year, keep reading to see which ones are actually worth your money. 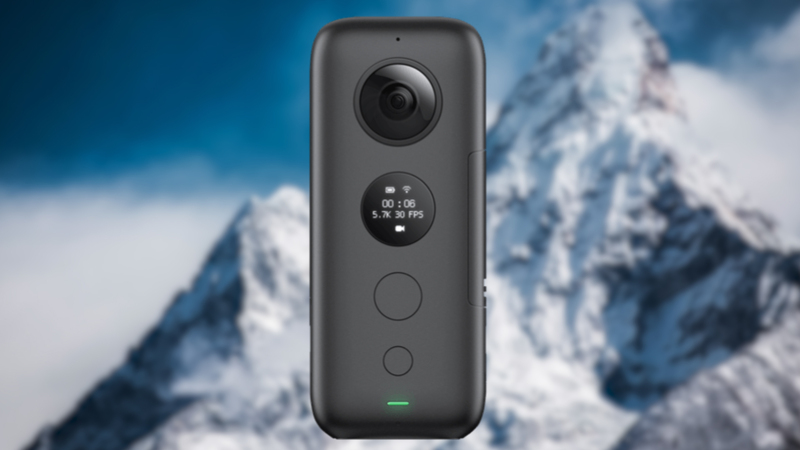 What Are the Best 360 Cameras You Can Buy? The Virb 360 by Garmin is perfect if you or the receiver loves the outdoors! It’s one of the more expensive options on the market, but you’ll definitely reap the benefits of a high-quality camera and tons of features. It’s durable and waterproof for up to 33 feet, so it’s great for a mountain climber, hiker, biker, surfer or diver. Buy the Garmin VIRB 360 Camera here! 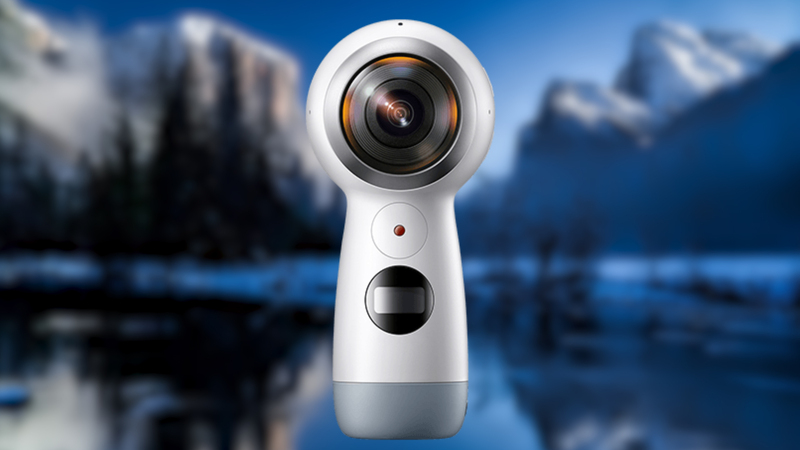 If you’re looking for a budget-friendly gift that still delivers, then the Samsung Gear 360 is a great option. This camera is under $100 and easy to use so it’s perfect for beginners. It can connect up to any Apple or Samsung phone or used on its own. Getting this camera for your loved ones will keep you off of their naughty list. Buy the Samsung Gear 360 Camera here! The Insta360 One X was recently named one of the best consumer-level 360 cameras by Forbes and it is my favourite model of 2018. A clear recommendation! The price tag is right around $400, so it’s a good middle ground for a 360, but it’s one of the highest quality on the market. 5.7K video footage, a small form factor and tons of fun accessories offer fun and super sharp results. You can easily mount the small Insta360 One X to your drone using this adapter – and you’ll be able to capture another amazing perspective. I love it! Buy the Insta360 One X Camera here! In addition to the Garmin camera, this is another option for those who love the outdoors and know what they’re doing with a camera. 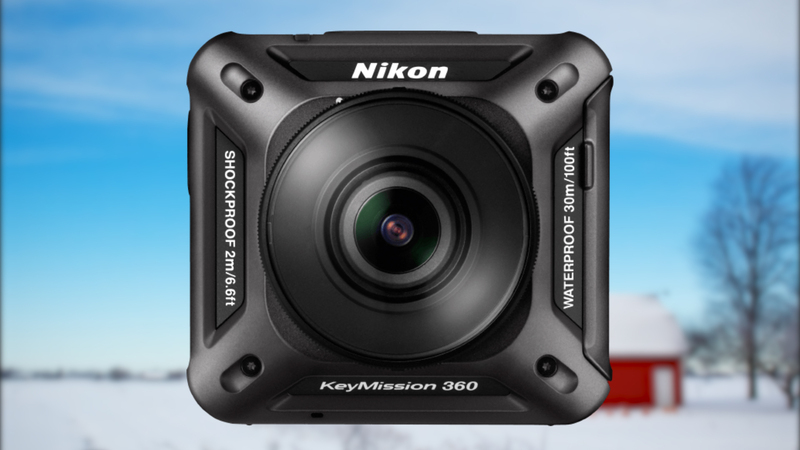 The Nikon KeyMission 360 is also waterproof, so it’ll take awesome underwater videos. The main purchasing argument of this camera is its manufacturer (because the camera itself is a bit outdated). Buy the Nikon KeyMission 360 Camera here! 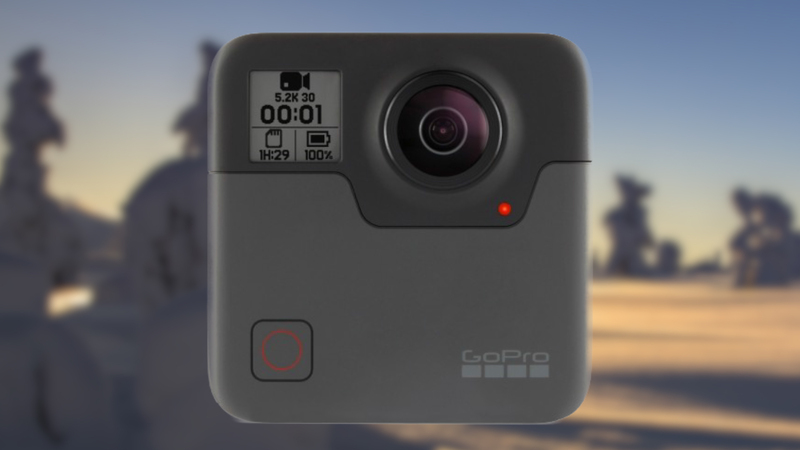 The brand name GoPro is synonymous with high-quality action cameras, but it also comes with the highest price tag of any of the other 360° cameras. At almost $600, the GoPro Fusion is an investment, but if you want something that’s guaranteed to perform well for years to come it’ll be worth the money upfront. Because of the price tag, this is a good option for experienced photographers or professionals who want to take their work up a notch. 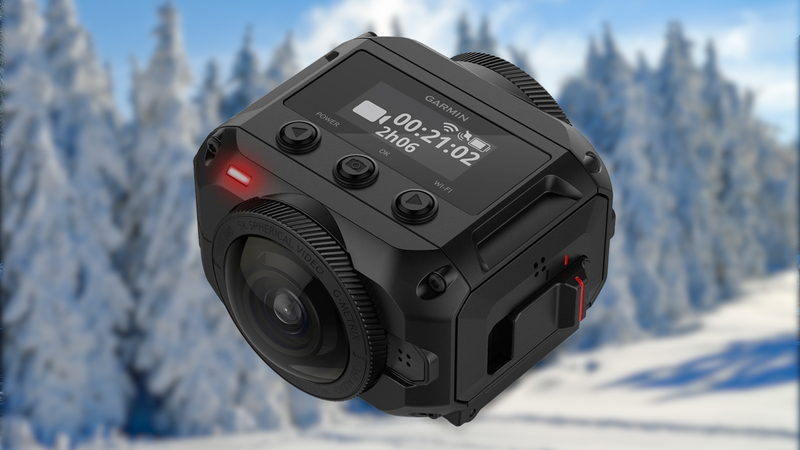 If Santa were going to live stream his Christmas journey, he’d probably use the GoPro Fusion. Buy the GoPro Fusion Camera here! There are other cameras that offer similar quality; if you’d like to see what equipment I personally use, check it out here. Want to Learn More About the Best Tech Gifts for 2018? 360 cameras and other tech gifts are great presents for the holiday season. You’ll want to do some research before you spend your money on these gifts, though. Check out the rest of our site for more information on the hottest tools, such as drones, and everything you need to know before you fly them.